Replacement Car Keys Upminster. Lost Car Keys? 01708 545399. Replacement Car Keys Upminster? call Dean on 07708 759815. Mobile 24 hour service. Local trusted locksmiths, Essex Police Approved. Emergency Service 24/7. Do you need a local reliable car locksmith and are based in the Upminster area? Lost your only set of car keys? Have you been misfortunate and have locked your keys in your vehicle? Are you fed up with being let down? 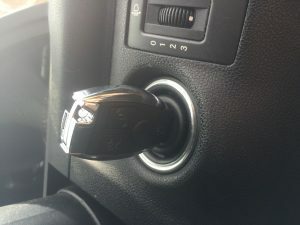 This is where our very own trusted car locksmith can help. Replacement car keys Upminster have local specialist vehicle locksmiths based near you. Our response times are as little as 10 minutes! We are a 24 hour mobile service and can assist at either your work place, home, or roadside. This in itself not only saves you time, but the costs involved in recovering your vehicle to the dealers. Our services includes a full years warranty, on all of our products. At Car key replacement Upminster we cover most makes of van, car and commercial vehicle. This includes some of the most poplar brands as well as the more specialist vehicles. The keys start from the basic plain transponder key, to the more intelligent keyless entry system. We carry most types of key and transponders on board. Our mobile engineers use the latest programming and key cutting equipment, enabling us to complete the job at the roadside. So if you need a fast reliable auto-locksmith in the Essex area call Dean now on mobile service 07708 759815.